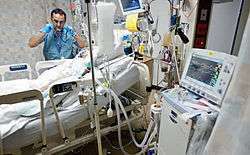 The provision of intensive care is, in general, administered in a specialized unit of a hospital called the intensive care unit (ICU) or critical care unit (CCU). 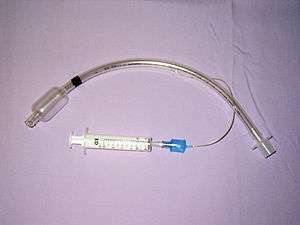 Many hospitals also have designated intensive care areas for certain specialities of medicine, such as the coronary intensive care unit (CCU or sometimes CICU) for heart disease, medical intensive care unit (MICU), surgical intensive care unit (SICU), pediatric intensive care unit (PICU), neuroscience critical care unit (NCCU), overnight intensive-recovery (OIR), shock/trauma intensive-care unit (STICU), neonatal intensive care unit (NICU), and other units as dictated by the needs and available resources of each hospital. The naming is not rigidly standardized. For a time in the early 1960s, it was not clear that specialized intensive care units were needed, so intensive care resources (see below) were brought to the room of the patient that needed the additional monitoring, care, and resources. It became rapidly evident, however, that a fixed location where intensive care resources and personnel were available provided better care than ad hoc provision of intensive care services spread throughout a hospital. Olson, Terrah; Brasel, Karen; Redmann, Andrew; Alexander, G.; Schwarze, Margaret (January 2013). "Surgeon-Reported Conflict With Intensivists About Postoperative Goals of Care". JAMA Surgery. 148 (1): 29–35. doi:10.1001/jamasurgery.2013.403.